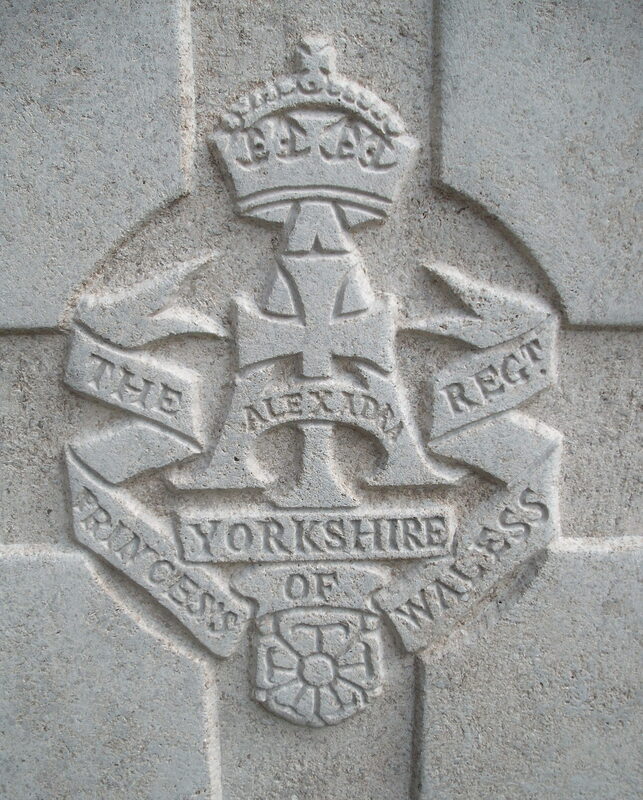 1/5th Bn, Alexandra, The Princess of Wales's Own (The Yorkshire Regiment), 150th Brigade, 50th Division, T.F., B.E.F. Horace Goodman was born in Malvern, the son of Mr Francis Goodman, a tailor and his wife Mrs Goodman of Harold Cottages, Belmont Road, Lower Newtown. He enlisted in Birmingham, and gave his residence as Stirchley, Birmingham. He was reported missing on the 20th July 1918. The Commonwealth War Graves Commission records his age at death as 28, but in fact he was born on 19 November 1898. At Cowleigh Mixed School his name was recorded as Horace Gleason – this may have been his mother’s maiden name.